Winter weather has certainly arrived in Toronto. Have you been putting off scheduling your furnace tune-up? Then it's time to give the professionals here at Air Makers a call. Servicing furnace has several benefits. 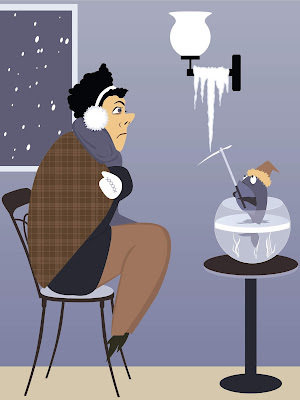 This article will show how you can save time and money and stay warm with our services. It will also show you why annual furnace maintenance is so necessary. 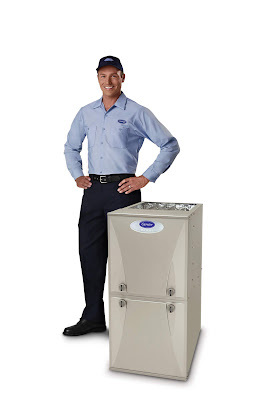 But first, let’s answer a fundamental question: what is a furnace cleaning? Dirt is your furnace’s worst enemy. It can reduce efficiency and waste fuel. Cleaning is the most critical part of regular upkeep. Dust and grime affect all three essential components of your furnace. These components are your motor, blower, and filter system. Your HVAC technician will need to clean all three. Besides cleaning your filter, your HVAC technician will also need to do a tune-up. They will check the vent system for obstructions or leaks. The technician also examines the heat exchanger for separations or cracks. Signs of corrosion may show up in this check. They will test for a tight seal around the blower access door and perform an amp draw test on the motor. The burner must also be checked for proper ignition. The flame sensor must be tested for correct operation. So, what does a furnace tune-up do? A maintained system will distribute the most heat output to the home. It will do so without the hazard of harmful emissions. A gas-powered furnace is a potential source of carbon monoxide poisoning. Carbon monoxide is colorless, odorless, and tasteless. It won’t irritate your nose or throat. But if the dose is large enough, it can be deadly. Cracks in the heat exchanger can let out this dangerous gas. Your technician will spot cracks and holes during your annual furnace maintenance. Faulty heating equipment is one of the top causes of house fires in North America. Fuel and carbon monoxide leaks can cause fires. If you have a fuel leak, the simple act of turning on a light switch can trigger an explosion. Your HVAC technician will detect leaks during your annual furnace maintenance check. 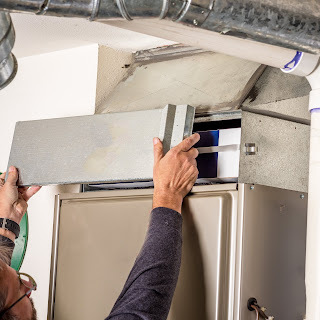 Like any other machine, wear and tear will affect your furnace. Less wear and tear will make it last longer. Long-lasting HVAC equipment does not need repair or replacement as often. One faulty part can strain the entire system. If you’re worried about furnace tune-up cost, keep in mind that it’s cheaper than the price of repair or replacement. A preventive maintenance visit delivers the TLC your furnace needs. This visit will enable it to operate at peak efficiency. It reduces wear and tear to the components. It catches system issues before they escalate. The repair and replacement process is complicated and expensive. Preventive maintenance makes it unnecessary. Another benefit is that the HVAC technician cleans and lubricates components. This step ensures they perform at their best level. Tuning up your heating system is like servicing your car. One enhances gas mileage, while the other improves efficiency. Your HVAC system uses up as much as half the energy consumed in your home. So, making intelligent choices about your home’s HVAC system can have a significant effect on your utility bills. You should clean or replace the furnace filter at the start of the heating season. You'll also need to replace it about once a month during periods of constant use. If it's dirty, it wastes energy. It slows down air flow, and the system has to work harder to keep you warm. Another item that can reduce the efficiency of your furnace is leaking ductwork. Leaks make efficient air delivery harder. As a result, you still may not be as comfortable as you like, even if your furnace is working overtime. Not doing annual furnace maintenance is like running a car without checking the oil. After a while, the car will break down, and you’d need to get it repaired. If you persist in not checking the oil, you will soon need to get a new car. The number of breakdowns will reduce its lifespan. It’s the same when you skip annual furnace maintenance. Your furnace will need repair more often, and you’ll need to buy a new one faster than you expected. Remember, heaters aren’t cheap! You should do annual furnace maintenance if your equipment is still under warranty. Most manufacturers void the warranty if you don't maintain the furnace on schedule. Furnace maintenance will fulfill that requirement, so you retain your warranty. All the above points boil down to two things: keeping you safe and saving you money. Here at Air Makers and 1st Air we have annual and monthly maintenance plans. See how we can help you maintain your HVAC system.